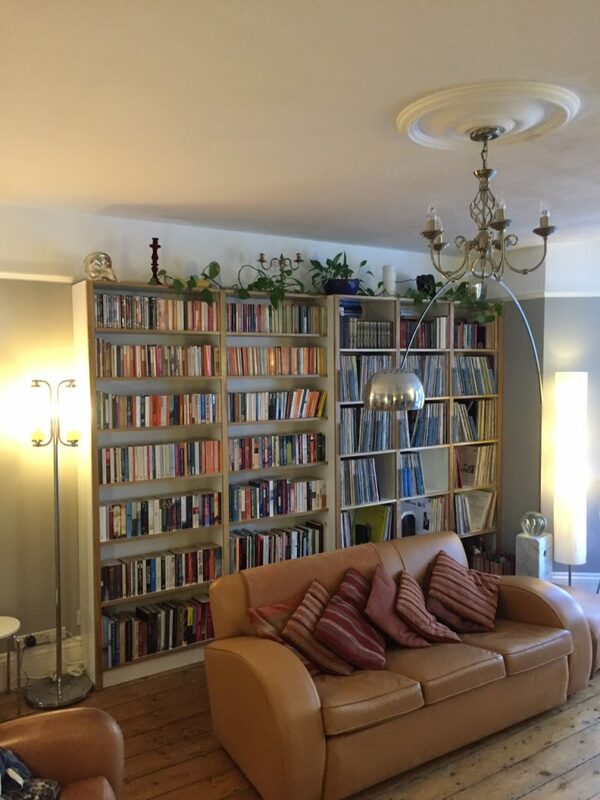 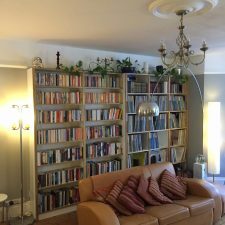 The photographs here show another example of a fitted bookcase for clients in Hove. 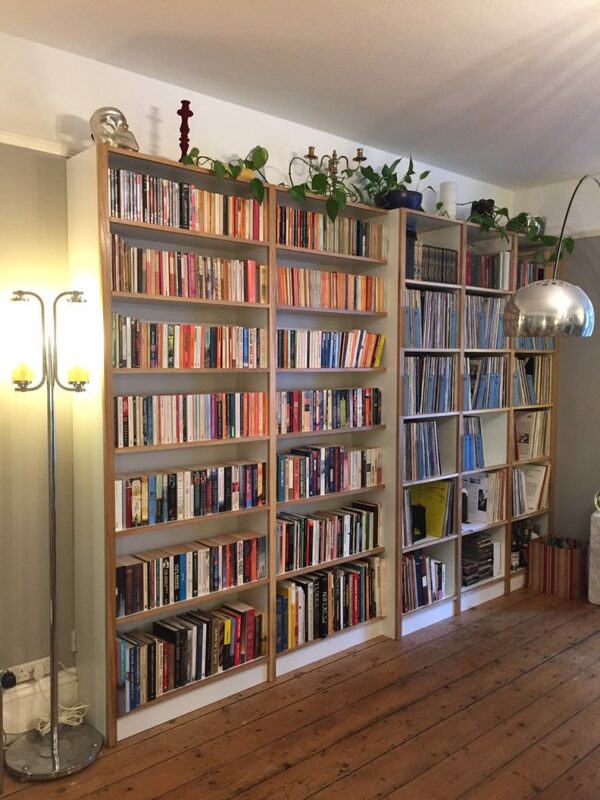 The construction is from white laminated board with an oak frame. 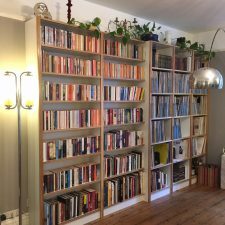 The bookcase is built in 2 sections, one with deep shelves for vinyl records, and a second with shallower shelving for books.